Chabad is throwing a party!! ​Megillah + Hamantashen = Joy ! 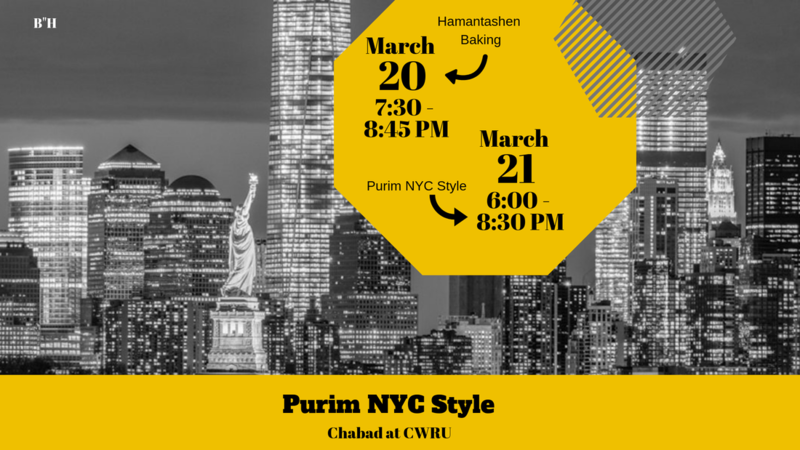 Drop in for a Megillah reading, a fun film, and lots of Hamantashen! Let us know you are coming so we can make sure to have enough for everyone.